It’s Friday everyone and SPRING has arrived! The temperatures are getting higher, and the nights are getting longer. And we also know what that means….Cubs season is almost upon us! On another note, we had a dental filled week here at Sugar Fix Dental Loft. We’re sure as many of you know, Dr. Jessica Emery LOVES teeth. But to be more specific, she loves cosmetic dentistry. 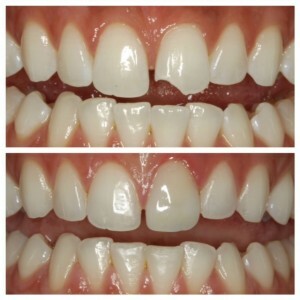 With wedding season upon us, we have been having some amazing consultations regarding veneers. Not sure exactly what a veneer is? We always encourage anyone who is in the process of their research to come in and see what the veneer process is like and see what their smile will look like at the end of it all! We are able to make your temporaries two weeks after your initial visit. At this visit, Dr. Emery prepares the teeth for the veneers. There will be no discomfort during the procedure. After the procedure, as with any dental procedure, there is slight soreness or slight temperature discomfort, but nothing that Advil can’t help! We always recommend that a night guard is made after any cosmetic treatment is done. This takes an additional two weeks from seating the veneers, but your perfect smile will be in place! This week we also had a birthday in the house! Paxton, Dr. Emery’s dental assistant, celebrated from morning until night with Dr. Emery & Team Sugar Fix. 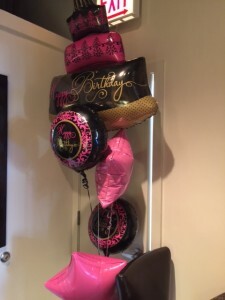 Not only does Dr. Emery take care of her patients impeccably, but she also spoils her employees on their birthdays! Breakfast, lunch, dinner, and dessert plus balloons and confetti made for an incredible birthday celebration for Paxton!